Updated Tuesday April 19, 2016 by Carey Wrenn. 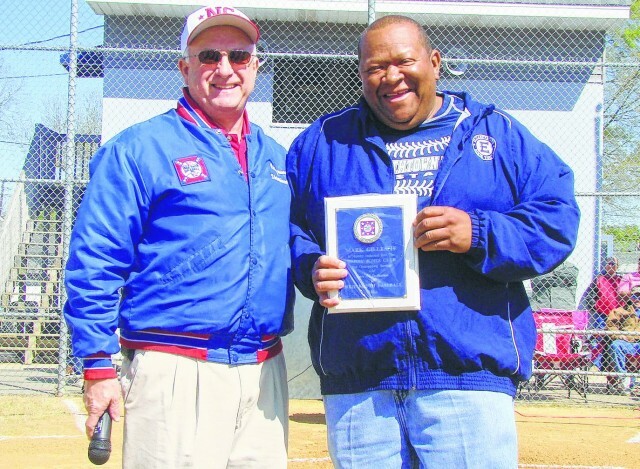 Mark Gillespie, president of Elizabethtown Dixie Youth Baseball, was inducted into the Danny Jones Club on April 9 during the Opening Ceremonies in Elizabethtown. State Director Carey Wrenn presented Gillespie with the plaque and told of Gillespie's many contributions to the Elizabethtown league. The Danny Jones Club is named after the first Commissioner and co-founder of Dixie Youth Baseball. The local league nominates the candidate and submits an application to the State Board of Directors. The State Board approves or rejects the application. Gillespie was approved by a unanimous vote. The vote will be ratified at the National Board meeting in August.